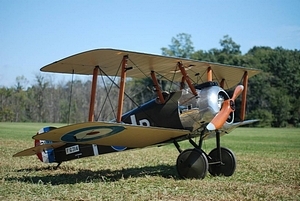 The RC Sopwith Camel is an RC scale WW1 biplane. Brief details of the full size machine, a 1/4 scale Balsa USA kit and a contest winning model are discussed. Maybe the most famous of World War 1 aircraft, the Sopwith Camel is immortalized as Snoopy's Dog house. 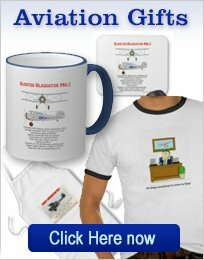 Charley Brown's famous pooch was forever shooting down the Red Baron, who was flying the Fokker DR1 Triplane. The photo above shows a Camel reproduction, that was built by personnel from the U.S. Air force museum. 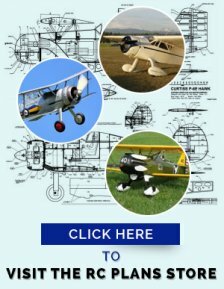 Original factory drawings were used and this airplane certainly looks authentic. 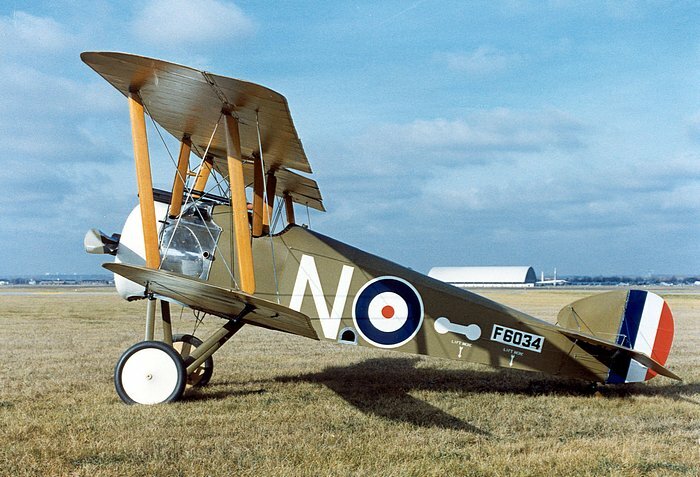 The Sopwith F-1 was introduced to the Western Front in June of 1917. Pilots and ground crew quickly named it the Camel because of the "hump" formed by the fairing over the machine gun breeches. It had a short nose and had a combination of a very powerful rotary engine and twin Vickers .303 in. machine guns, synchronized to fire through the propeller. This feature was to be the basis for British fighter design for the next 20 years. 5,490 Camels were produced, during the course of WW1 and they were used to shoot down 1,294 enemy aircraft, making this the deadliest of all the allied airplanes. However, it should also be noted that more pilots were killed in take-offs and landings, than were shot down by the Germans! The Camel was not an easy airplane to fly, but it was extremely maneuverable. It could make a rapid turn to the right, greatly assisted by the rotary engine's torque but left turns were very slow. In fact some pilots , when required to make a left turn, would, instead make a 270 degree right turn! An excellent description and history of the Camel can be found at this Wikipedia page. 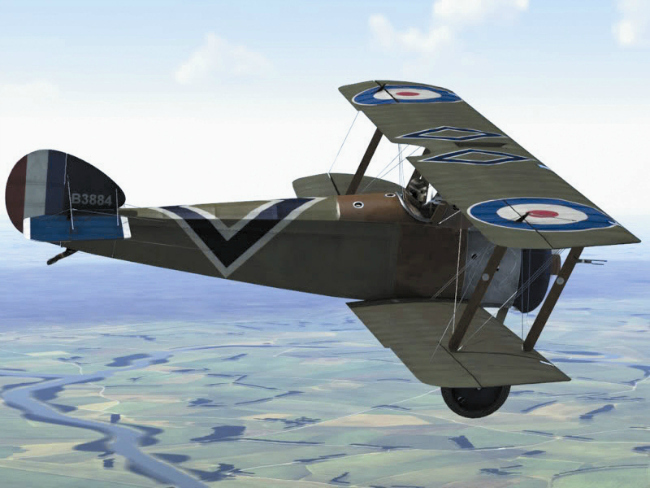 Any model of the Sopwith Camel, will have the same problem as the original. The short nose will force you to keep as much weight as far forward as possible and if you have the option, build everything behind the balance point as light as possible! 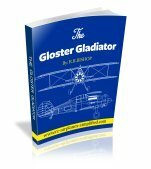 This beauty is easy to build and a delight to fly. Balsa USA kits have been around for some time and this kit will only add to it's fine reputation. The very short nose will make balancing a challenge. Make the tail as light as possible and keep all heavy equipment as far forward as possible. A look at the forum, on RC Scale Builder, will show a Camel being built, with lots of good ideas. Mick Reeves Models was founded by 3 time World Champion modeler Mick Reeves. The Camel is offered as a plan or a kit in scales of 1/4 or 1/3 full size. 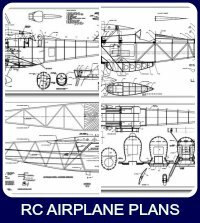 The RC kits include all the parts, CNC routed to shape, and all the scale details. These models are capable of being built to World class competition standards and many have won the top places in world events for many years. Wing area: 2264 sq. in. ABS plastic cowl and forward "Hump"
1/4 scale Dubro Vintage Wheels 7"